I lead a collaborative team of experienced trial lawyers and counselors who are dedicated to helping employers solve the most sensitive problems and navigate numerous federal, state and local laws that impact the workplace. We stay on top of best practices so that we can help our clients maintain an effective workforce, minimize risk and focus on running their businesses. Ruth Ann Daniels is Chair of the Labor and Employment Department. 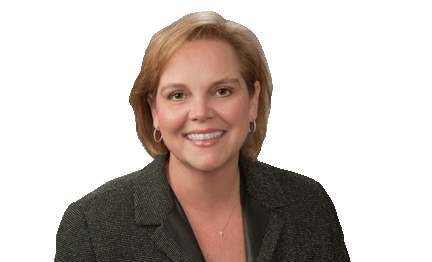 With over 30 years of experience as both a trial lawyer and legal advisor for employers in Texas and across the country, she has handled every adversarial and operational matter that can arise in the employer-employee relationship. Her experience includes trying cases in state and federal courts, resolving disputes through arbitrations, conducting investigations and audits, providing workplace training and addressing day-to-day workplace problems. Her clients range from Fortune 500 companies to mid-size businesses across several industries, including automotive, retail, oil and gas, restaurants and many more. Ruth Ann has achieved numerous successful outcomes in litigation and arbitrations involving all types of discrimination, harassment and retaliation, wrongful termination, theft of trade secrets and disputes involving non-compete and non-solicitation agreements. She also has substantial experience in defending multi-party and class action litigation and resolving Department of Labor audits, primarily involving FLSA wage and hour claims. Ruth Ann also represents employers with unionized workforces in arbitration proceedings involving a variety of issues that arise under collective bargaining agreements. She frequently handles litigation outside the employment context as well, including disputes involving breach of contract, fraud, DTPA claims and trusts and estates issues. While she’s highly effective in the courtroom, Ruth Ann knows the best approach is to prevent disputes from happening in the first place. She helps employers build a strong foundation focused on avoiding risk and tackling workplace issues proactively, whether she’s preparing employment policies and procedures, conducting workplace training or guiding HR personnel through tough daily decisions regarding employee hiring, investigations, discipline, medical leave, terminations and much more. Ruth Ann also negotiates and drafts employment agreements covering virtually every issue, including executive employment terms, benefits, severance, non-competition, non-solicitation and confidentiality. Obtained a favorable opinion from the Texas Supreme Court in re AutoNation, Inc., 228 S.W.3d 663 (2007), which held that a forum selection clause in a covenant not to compete, designating another state as the appropriate forum, is enforceable in Texas.